I have spent a great deal of time struggling with what I would say to you if ever I had the opportunity. What could the words of a stranger offer? We have never met. I never met your Daddy. What credibility could I possibly have? You are surrounded by love and advice and care…everyone seeking to help you find your truth…You are a beautiful, intelligent, delightful young lady with your whole life in front of you. You have your Daddy’s strength and compassionate spirit. And, you have your dreams. I remember a part of your Daddy’s Oxford Address where he said that personal stories give meaning to statistics. I believe that is true and so I have decided to go ahead with this letter in an effort to share with you what I have learned from over four years of researching everything Michael Jackson…his music, performance, dance, storytelling, vision, imagination, work ethic, humanitarian efforts, his short films, world tours, awards, speeches, …HIS ARTISTRY AND HUMANITY…his heart and his love. It has been a creative journey for me and I will say I have never taken a journey that compares. Of course, he is your father and who could possibly know him better? But, I remember when my father died, I began learning things about him I really never knew. That may be the case for you. Your Daddy had such a huge life. There is so much to learn about him as an artist and as a person. And so, I thought there may be things that you may not know or have forgotten. There is a good feeling that comes from hearing stories and details about people we love anyway…right? I began my journey with your father by reading his autobiography. I know that if someone wanted to learn about me and my life and dreams, I would want them to hear it from my lips. And so, MOONWALK was the beginning of hearing your Daddy’s voice. He was telling the story and I loved that. Because the media has been obsessed with your Daddy his entire life, I knew that their words and bullying held no truths. So, I stayed very far away from any of that. I soon discovered that I needed access to lots of paper because when your Daddy spoke, I wanted to write it all down. I have thousands of pages of his words…all speak to the human condition and love and healing. Of course, you know that. I then discovered DANCING THE DREAM and the love affair with your Daddy was embedded in my soul. The prose and poetry I found there inspired me and gave me hope for the world. Have you read it lately? I think that it holds such truth and gives me a very spiritual feeling that makes me feel closer to God. 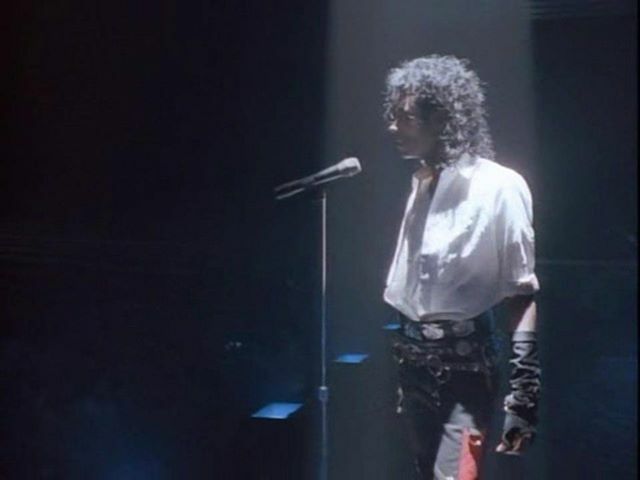 Your Daddy was a storyteller…in his music, his lyrics, his dance, his performances. The stories he told all had a common thread…love and healing. He lived his life giving that message of humanity to everyone he touched. “Michael believed in magic, he believed that we could change the world, and he had such unconditional love that when you were around him, you couldn’t help but believe it too.” Kellie Parker. I agree with Kellie. My life changed when I spent time with your Dad. I am a better person because of the experience. And so, the question that begs to be asked is…how to go on when someone you love so very much is gone. How can that hole in your heart be mended. Each of us deals with loss in our own unique way. I really don’t know what I would have done if my mom or dad had died when I was 11 years old. It is a lot to ask at that age. But, I do know that when I lost my mom, who was my very best friend, I found myself clinging to something she had told me years before. You see, my mom began being dangerously ill when I was 10. I imagined that I would come home from school and find her gone. I was so scared. I think she sensed that because she sat me down one day when I was little and told me that if something happened to her, it would be her hell if she looked back and saw me fall apart. She said we had worked so hard to make me the person I was and she wanted me to continue that work. When you were talking to Ellen on her show, you mentioned that your Daddy had said something similar…to remember the things he had told you. I am sure they included going for your dreams and living your life. Am I right? That’s what good parents do and you had the best. My prayers for you, Dear Paris, are that you are going to live and thrive and be all you can. I know that it would be a part of your Daddy’s Heaven to see you happy and healthy and becoming the young woman you were born to be. 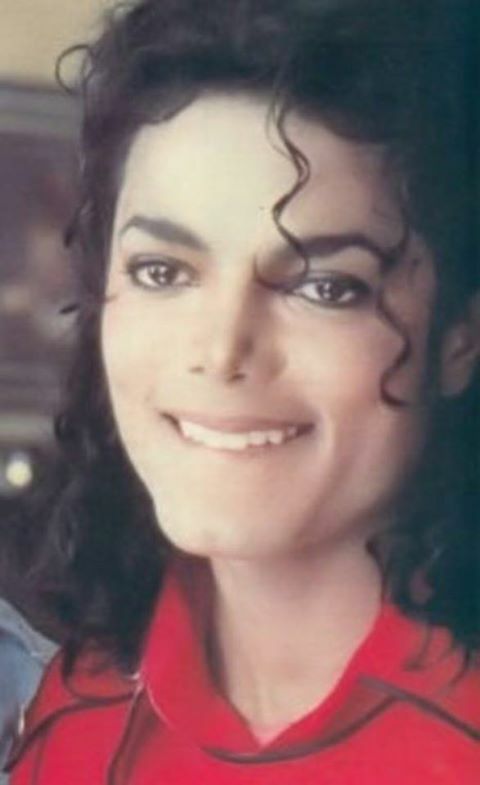 I have learned from Michael that each of us was born for a purpose, given gifts that we should cherish and use to make the world a better place. When I get really discouraged with the injustices he has had to face and is facing even though he is gone, I remember all the things he has taught me. I ask myself, “What would Michael do?” And, I know for certain what step I should take next. Isn’t it interesting that you can love someone you have never met? And, Sweetie, there are millions just like me all over the globe. And, guess what? 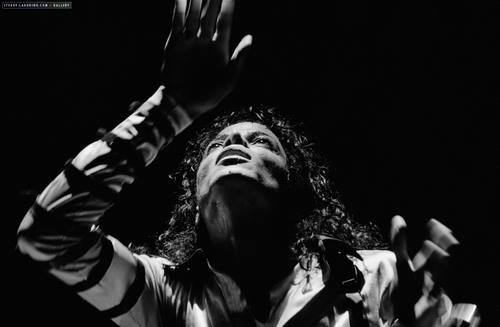 All of our voices are reaching out to defend Michael and guard his life and legacy. That tremendous loyalty and love reaches all the way to you and your brothers. Isn’t that amazing. You have millions of hearts caring and loving you. That is truly a gift. Use it well. As I said when I started this letter to you, I have struggled with exactly what I would tell you. But, as I sit here writing, I think I want to share some of the wonderful words your Daddy has given to the world. You will know many…some may be new…but, important messages bear repeating over and over and over again. Just think how many times we listen to your Daddy’s music…watch his short films. It all just gets better and better and better. I will leave you with some of my favorite thoughts…be well, Dear Paris. Don’t let anyone get you down. BE YOURSELF! Take this world by storm. REMEMBER…IT’S ALL ABOUT LOVE. THERE IS A LEGEND THAT SAYS…ONCE IN YOUR LIFETIME SOMETHING BIG HAPPENS AND CHANGES YOUR WHOLE LIFE FOREVER. AFTER THIS TURNING POINT, YOUR LIFE WILL NEVER BE THE SAME. Dear Paris, your Daddy did this for me. When one person believes in something it’s a dream. When two persons share the same dream…it’s a beginning of a new reality. The best dreams are when your eyes are wide open. Love is the human family’s most precious legacy, its richest bequest, its golden inheritance that is handed down from one generation to another. Love is the answer to all that I am. Make love your weapon against any evil. I love to create…to make magic…to do the unexpected. Your mind is powerful enough to help you attain whatever you want. You only get out of something what you put into it. GIVE EVERYTHING YOU HAVE, DEAR PARIS. There are people out there who don’t actively hold you back as much as they work quietly on your insecurities so that you hold YOURSELF back. Never give up. Never give in. When the world says “NO”, you say “YES!. Have confidence no matter what you do. Believe in yourself. Whatever you believe you become. I believe in me…so you believe in you! BE STRONG IN WHO YOU ARE, DEAR PARIS. If you enter the world knowing that you are loved and you leave the world knowing the same, then everything that happens in between can be dealt with. Live! Be! Move! Rejoice! You are alive! Before you know if you have red hair or brown…before you know if you are black or white, before you know what religion you are a part of…you have to know that you are loved. Lies run in sprints. The truth runs in marathons. In the end, the truth always triumphs. Paris, you might know, your father wrote his manifesto at age 21. It said…”MJ will be my name. I want to be a whole new character, a whole new look. I should be a totally different person. People should never think of me as the kid who sang “ABC” or “I Want You Back”. I should be a new, incredible actor/singer/dancer that will shock the world. I will do no interviews. I will be magic. I will study and look back on the whole world of entertainment and perfect it, take it steps further from where the greats left off.” Your Daddy never aimed low. He didn’t know the meaning of mediocrity. He said what he liked best about living was learning, exploring new worlds, learning new things. I don’t sing it if I don’t mean it. WHAT WILL YOUR MANIFESTO BE? The greatest thing is to love and be loved in return. This entry was posted in Uncategorized and tagged A letter to Paris Jackson by jrling. Bookmark the permalink. This is so beautifully written. I can tell that you put your heart and soul into this blog. I love that you used your own life experiences about losing your dad and remembering what your mom told you. I hope and pray that Paris will read this and be as touched by your words and emotions as I am. Thank you for sharing such an inspirational message! 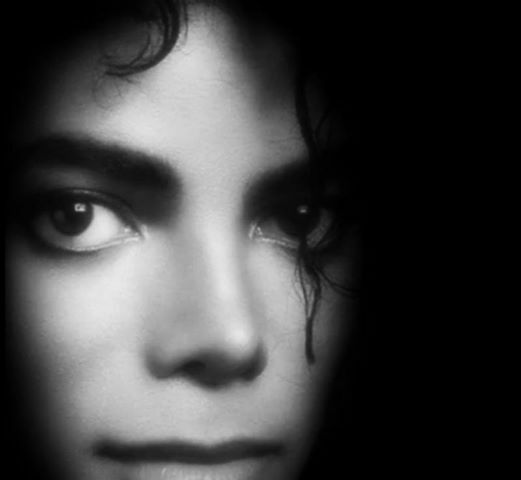 I found this blog by clicking through from your comment on MJJJustice and want to read it all and not lose it ~ it is so beautiful. Is it possible to follow and receive updates? Hello Jude: What a beautiful letter. What a kind and thoughtful gesture. 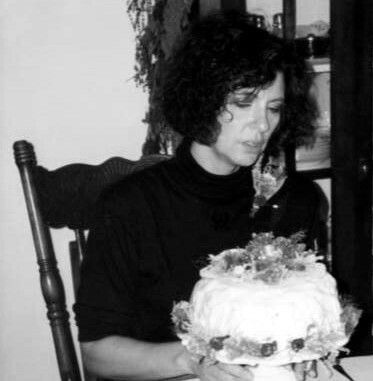 Having lost my own sister to cancer at a young age, I so appreciated all her friends who reached out to tell me stories about her and what she meant to them. A letter like this means so much to people who have lost someone dear to them. That you would take the time to do this for someone you only know through media, speaks volumes about what a kind person you are. I hope your letter reaches Paris. Dear Jude! What you have said and advised to our precious Paris deserves a special award! The girl needs words of love, support, truth and compassion these days like never before. Your invaluable advice and loving reminder who her Daddy will make a seriously positive job if only Paris can read it. I hope… I hope.. Cause you are an incredible mentor and thank you for the love you showed her from all of us, she needs to know about it too. I’m so proud of you, I’m so proud I’ve got a new friend, you Jude. You writing is excellent. Having lost my father at six years of age and then having spent the next three months asking “Mum, you’re not going to die are you?” only for her to collapse with a berry aneurysm while taking me to school just three months later, I can identify with your fears Jude, as your ten year old self worried that all that was dear to you would be taken away. 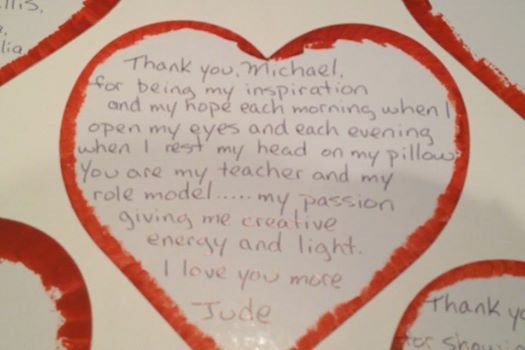 Michael became my ‘everything’ from a young age, and the fact that he was snatched away so tragically from his own children, when he gave so much to so many other people’s children around the world, including myself, beggars belief. He made everyone feel special, even during times when he himself felt wretched. In fact, those were the times in which he reached out even more. I can identify with Paris so strongly in that she too, has lost all that gave her life meaning and hope, yet at the same time, I cannot begin to imagine her pain as she tries to work it all out in front of the world, just as her dear father had to unravel his own life and its trials and tribulations in full view of the world’s eyes. He was so strong, and Paris will surely take his resilience and strength and run with it. I pray that all his children will be able to take courage from their father’s incredible strength and fortitude and run with it. He would have wanted nothing more than for them to be happy, healthy and strong enough to continue the good work that he started. 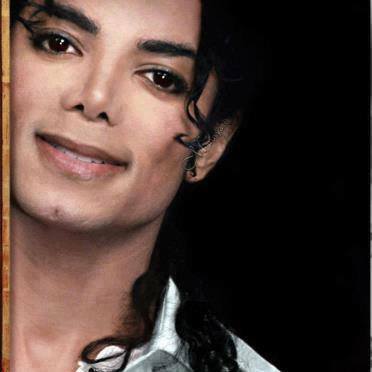 IT’S AWESOME JUDE..U R ABSOLUTELY CORRECT..HE HAS STOLEN EACH 1 OF OUR HEARTS..HE UNITED TH WHOLE UNIVERSE..HE CARED SO MUCH FOR US, HE GAVE US A NEW LIFE TO LIVE..JST LIKE U ME TOO NEVER GT A CHANCE TO MEET TH REAL GOD “MJ”, OUR “MIKE” WHOM I LUV MORE THAN MYSELF..HIS LEGACY, CONTRIBUTION WILL CONTINUE MAKING HISTORY WT TH GENERATION TO COME. 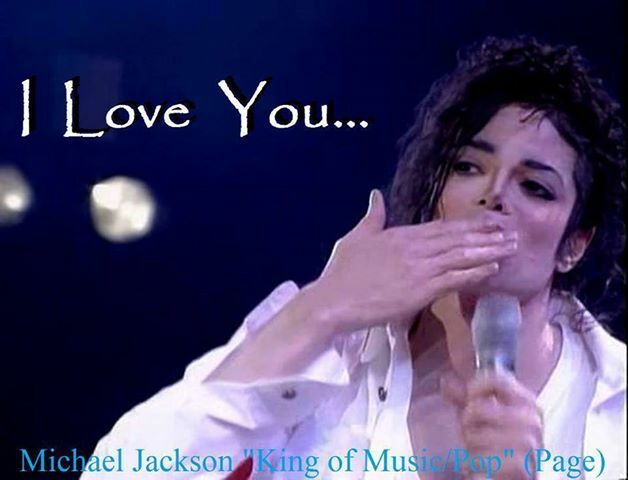 WE ALL LUV “MJ”.. I am in tears. Your words are mine, and all of ours. I hope Paris reads this. It is beautiful. I need to add that your words SPEAK for us, I cannot claim your words are mine: they are far more eloquent. Your mother’s words to you were wonderful. As a young child, I faced similar circumstances, and those words would have been very comforting to hear. Thank you for telling Paris.